Notes: Oulu Castle (Swedish: Uleaborgs slott, Finnish: Oulun linna) was a late defense castle in Oulu, Finland. It was built on an island in the delta of Oulu River in 1590. The castle was mostly made of wood and earth walls. There probably was an earlier medieval castle on the same site latest by 1375. The Russian Sophia Chronicle has recorded that men from Novgorod tried to conquer a new castle in the Oulu River delta in 1377 but were unsuccessful. The present-day ruins on the Linnansaari island remain from an even later castle, which was built in 1605. The castle was badly damaged in 1715, when Russian forces burned it. Final destruction took place in 1793, when lightning set the other one of the powder magazines on fire. 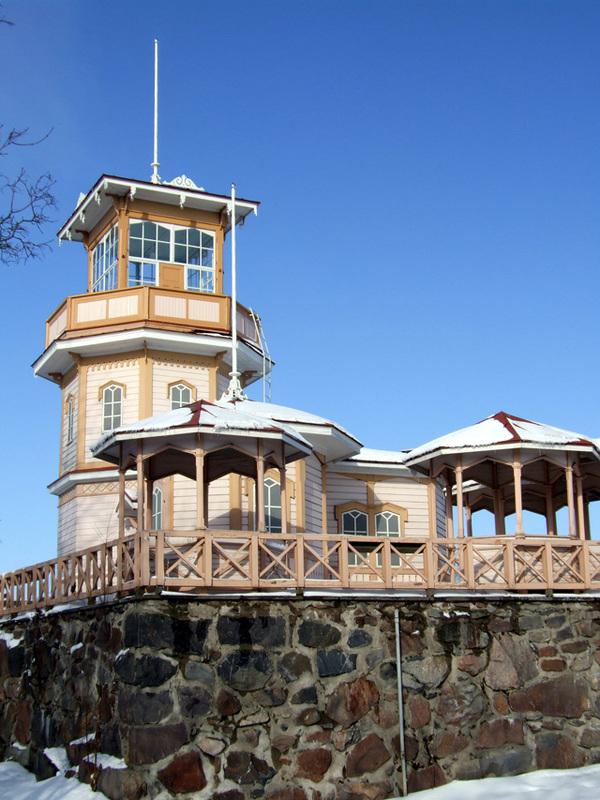 Wooden constructions on the remaining powder magazine date from 1875 when the Oulu School of Sea Captains built their observatory on the site. The building was designed by architect Wolmar Westling. The building has been a cafeteria since 1912 with a small exhibition on the castle history.